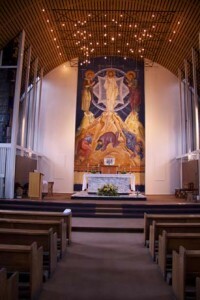 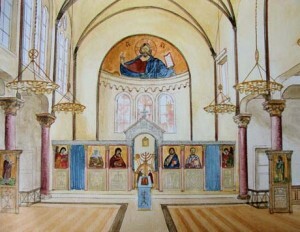 Architects, liturgical artists and craftspeople working together Aidan Hart and Co. Church Furnishers are able to undertake church architectural work. 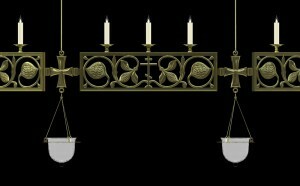 We have worked in particular with Mark Hoare, an Associate Director of ADAM Architecture. This firm, which has its bases in London and Winchester, is a leader in traditional architecture. 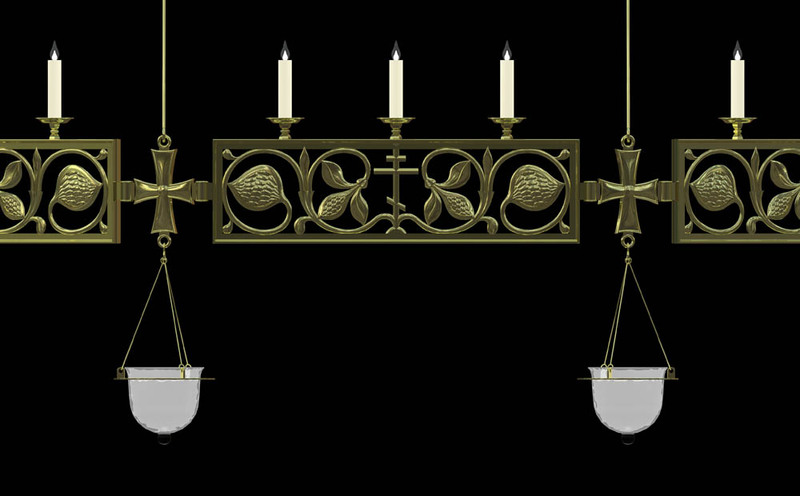 We are of course also happy to work with other architects of your choice. Both Aidan Hart (iconographer, sculptor) and Dylan Hartley (master builder, furniture maker) have many years experience working with architects to help design a number of church projects, which can be viewed on this page. 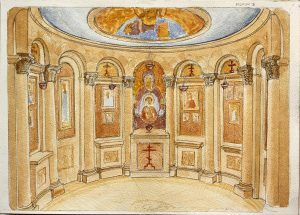 There are many benefits when the architect involves such liturgical artists, theologians and builders in the design stage. The church building is a “garment” for – and indeed part of – the community’s liturgical life. 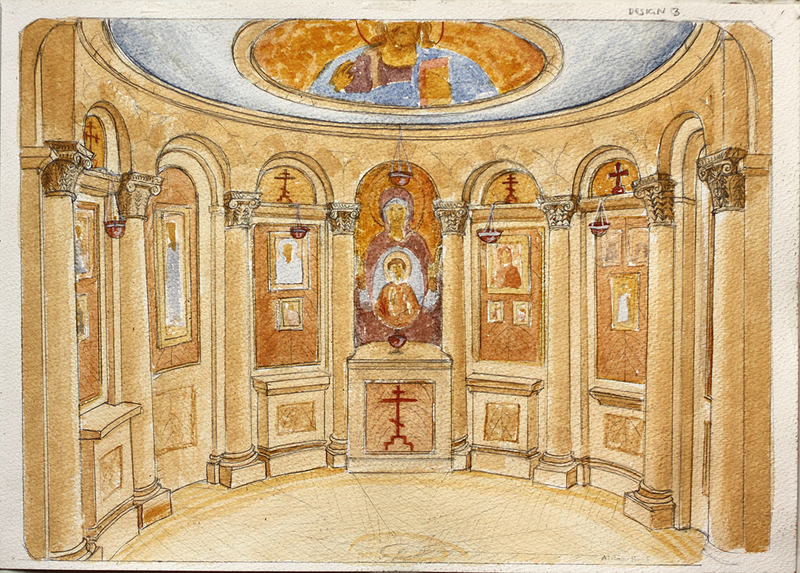 Its design therefore needs to be informed by theology and liturgy, and the liturgical arts that will fill it. 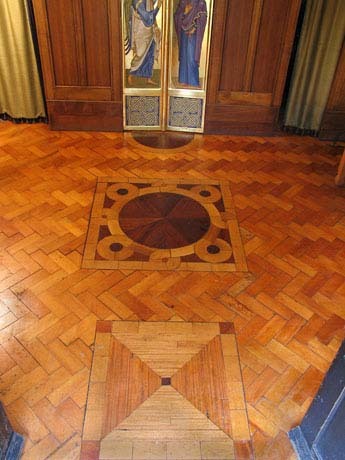 These cannot be added later as an afterthought. 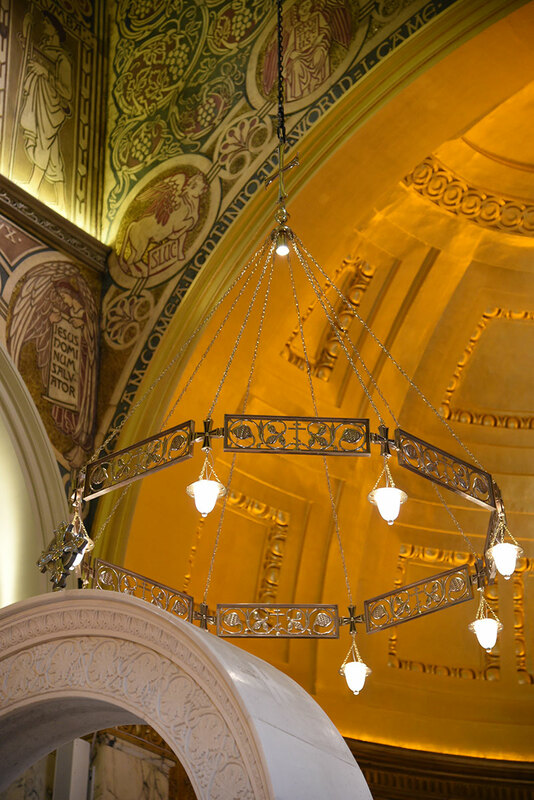 Aidan Hart and Company’s practical and theological experience can spark ideas and present opportunities that otherwise might have been missed. SOME PAST PROJECTS The Monastery of Saint Antony and Saint Cuthbert, Shropshire. 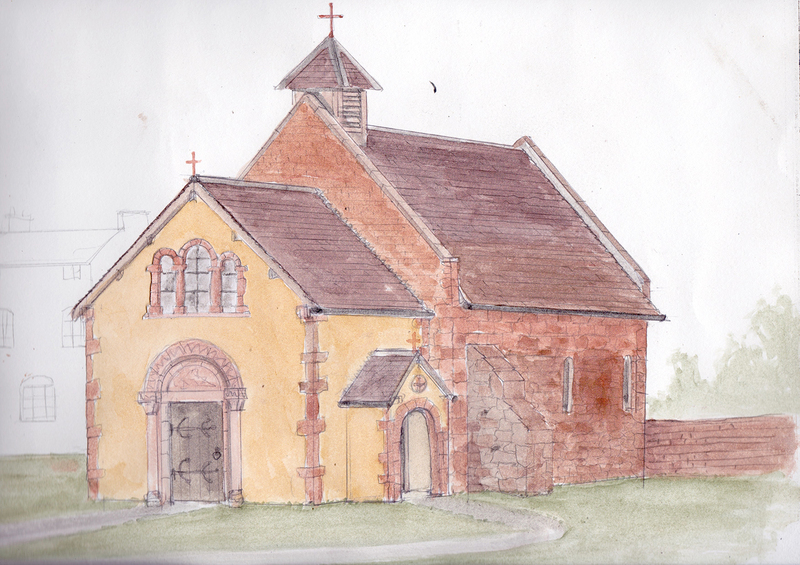 Proposed church and monastery extension. 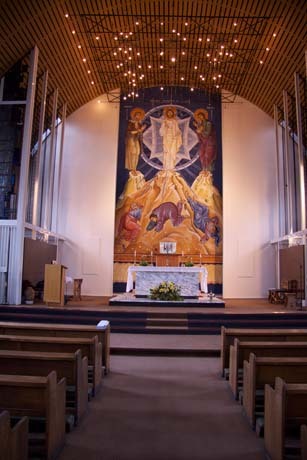 Aidan Hart worked closely with architect Mark Hoare in the design of the church. 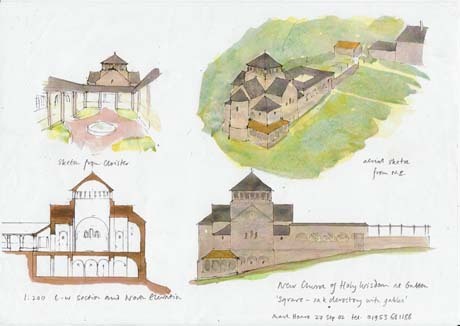 Earlier, Aidan redesigned and restored the derelict buildings to create the monastery’s living quarters and chapel. 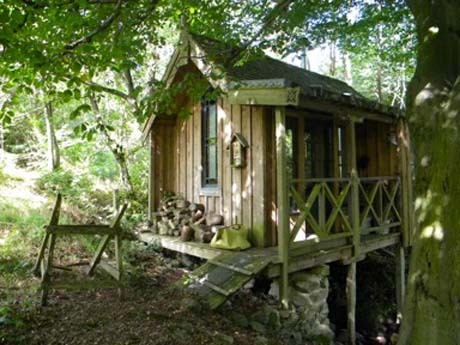 St Melangell’s cell A retreat hut built in a valley over a stream at the Monastery of Saint Antony and Saint Cuthbert, Shropshire. Designed and built by Dylan Hartley and Aidan Hart. The Greek Orthodox Church, Shrewsbury Aidan Hart worked with architect Robert Netherwood in helping to convert the disused church into a functioning parish. 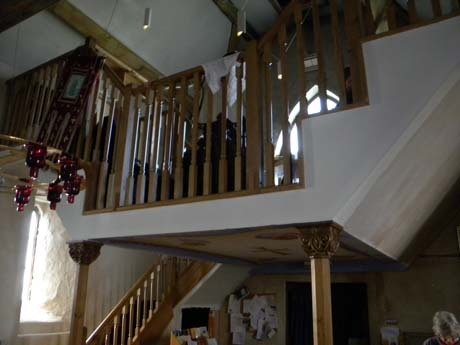 He designed the mezzanine floor woodwork, which was then made and installed by Dylan Hartley. 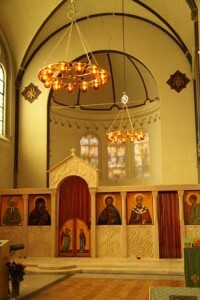 Aidan also designed and made the icon screen along with its icons. 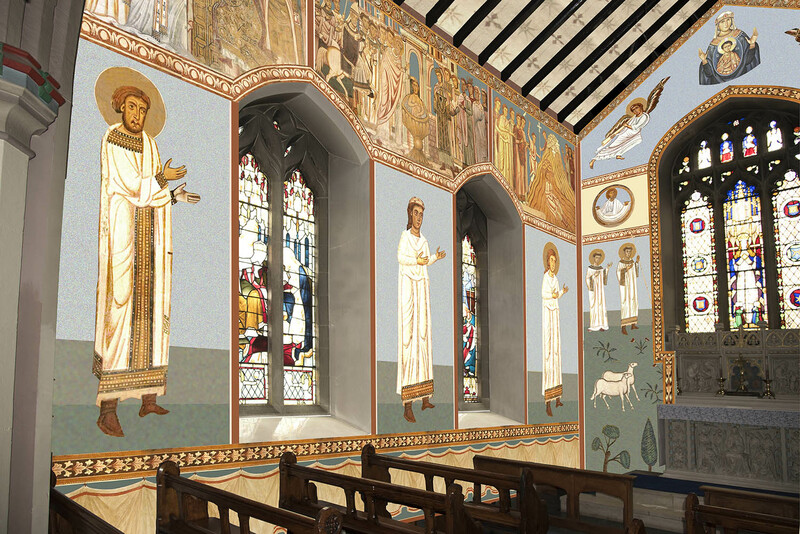 He is soon to fresco the east wall. 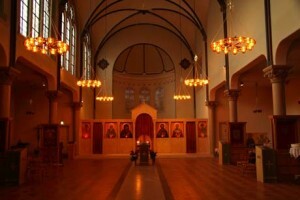 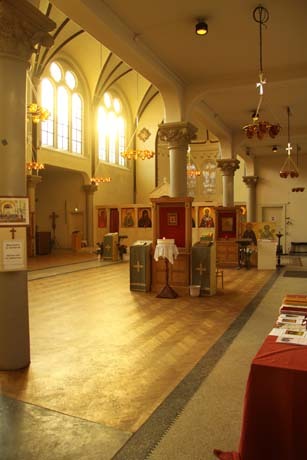 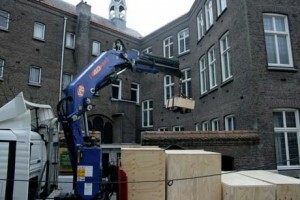 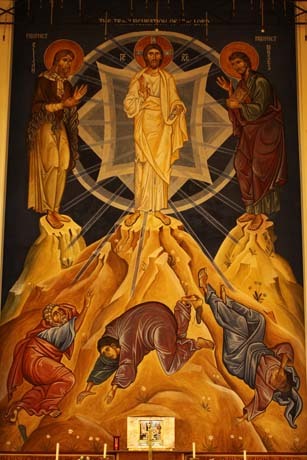 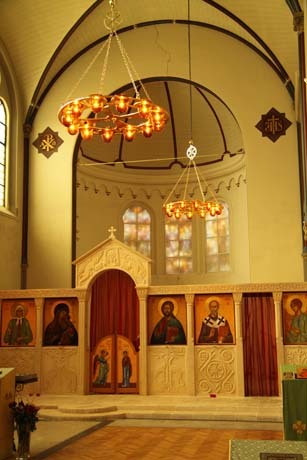 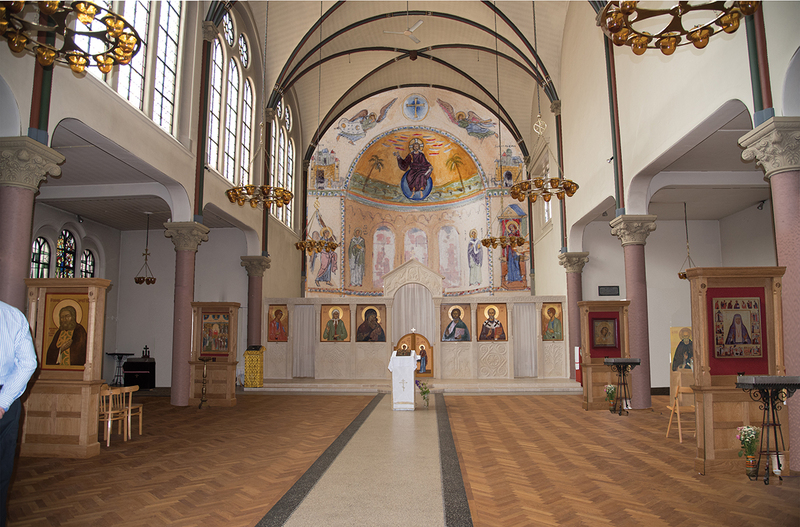 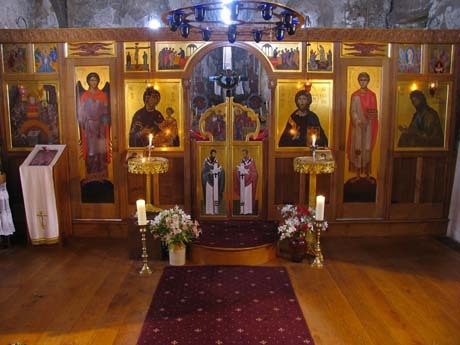 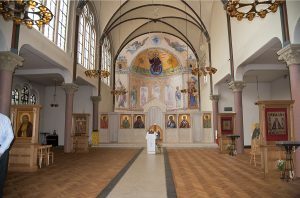 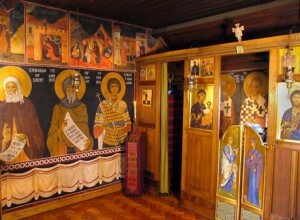 SOME CURRENT PROJECTS St Nicholas Russian Orthodox Church, Amsterdam In 2009/2010 Aidan designed and carved the 9.3 metre wide stone icon screen, and painted most of the icons for it. 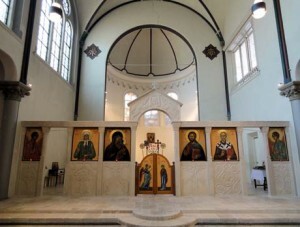 He also designed and Dylan Hartley is making four large oak “thrones” for other icons. 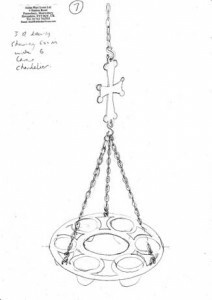 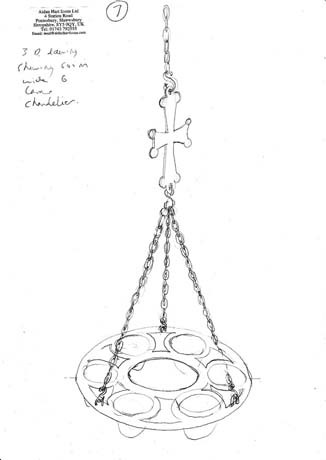 Sixteen cast brass chandeliers are also currently being made by Aidan Hart and Co. for the church. 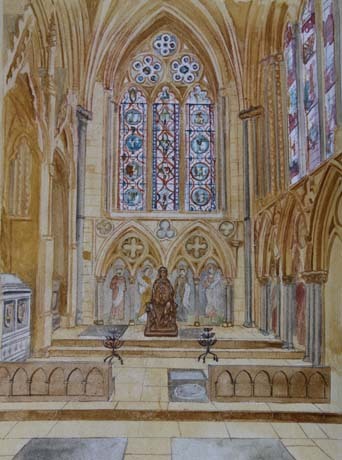 Lincoln Cathedral Aidan is working with a team to bring to life Our Lady of LIncoln Chapel at the east end of this famous cathedral. 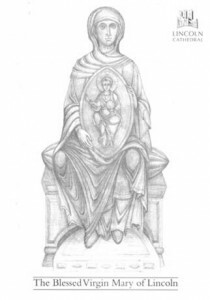 He won the competition to design and carve a life size sculpture of Our Lady of Lincoln for the chapel. 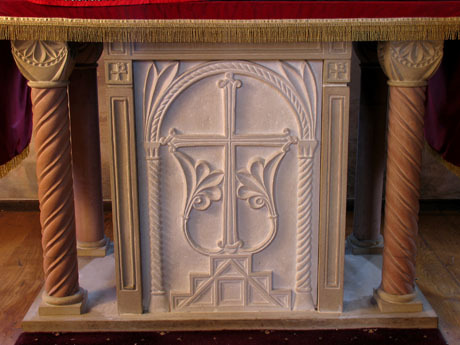 He is also working with the Lincoln committee and also furniture maker Nicholas Hobbs to further develop the chapel’s interior. 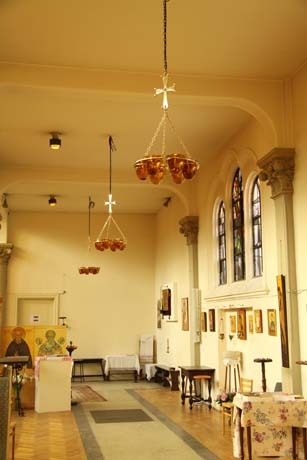 Latimer Minster, London The first Minsters were founded in the early days of British Christianity as centres of mission, worship, prayer and teaching. They were the hubs for extensive missionary activity and a resource built upon monastic communities. 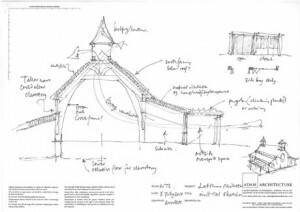 Dylan Hartley will to be working with the visionary team at Latimer Minster on the intended building of the oak timber framed church. The team also plan to involve Aidan Hart and Co. with the design and making of the furnishings for the Minster. 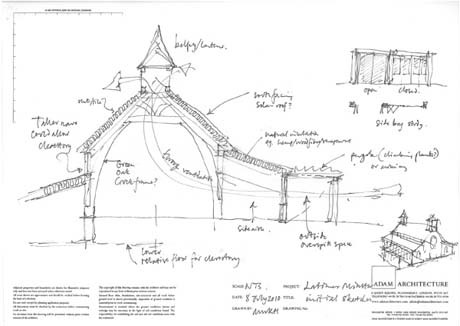 Here are some preliminary ideas drawn up by Mark Hoare of ADAM Architecture.